Total Socials: LinkedIn Premium - Is it worth it? LinkedIn Premium - Is it worth it? There’s no doubt in my mind that LinkedIn is an incredibly useful social network that constantly brings in great results – traffic, great connections, and engagement and leads. But is it worth upgrading to LinkedIn Premium, will it help you get even better results? Most social media users are definitely not used to the idea of having to pay to have access to certain features or benefits. However, since LinkedIn can be such an invaluable tool for job seekers, recruiters, sales professionals, networkers and those who want to make as many valuable connections as possible, it makes sense to charge for certain features. This is the top LinkedIn Premium feature. Basically, with a LinkedIn Premium account, you can send InMail messages to virtually anyone on LinkedIn – you don’t need to have their contact information, or to be connected or even to be introduced. InMails have a much higher response rate than emails and cold calls, as the guys at LinkedIn point out. They are also very likely to be seen by the recipients, as they will get it on their email, as well as see it on their LinkedIn homepage. - Write a relevant title in the subject line that tells the recipient why you are reaching out to him/her. If you still don’t get a response to your InMail in seven days, don’t worry – LinkedIn will replace your lost credits and you will be able to send another InMail with no extra charge. The InMail feature is the star of LinkedIn Premium for good reason. It truly is very useful, as it allows you to connect with almost anyone you want on LinkedIn, either for job opportunities, for a potential business deal, a new business venture or any other professional reason you might have. It truly is a very advanced search as there are so many different search criteria, and with LinkedIn Premium you will get hundreds of extra search results more than usual. With more results, come more people that you might want to reach out to. 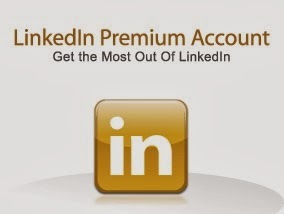 And here comes another LinkedIn Premium benefit – you will be able to see the complete profiles of anyone on LinkedIn, not the usual limited profile view, even if you are not connected to that person at all. You can also save your searches and choose to be notified by email for any new developments in that search, either daily, weekly or monthly. Premium accounts can save more searches than regular accounts, so you can set up alerts with different search criteria. While this is also a very useful feature, not everyone is going to need it. I believe it is better to make sure you get everything you can out of regular search results and only dig deeper if those aren’t enough and you still can’t find what you are looking for. It can, however, be incredibly useful for a recruiter that is constantly looking for new people. You can easily save profiles in your Profile Organizer either from their profile pages or directly in search results. This feature basically allows you to bookmark anyone on LinkedIn so that you can easily return to their profiles at a later time. While this isn’t necessarily a must-have feature, especially if you are using another CRM tool, it does make your life easier by keeping all of the important profiles you’ve stumbled upon in one place, without having to go to another website. This is definitely not a feature that most people need, but it’s a nice benefit. With LinkedIn Premium, you will get access to Profile Stats Pro. This feature allows you to see the expanded list of the titles, regions, and companies of the people who have viewed your profile. The fact that you will be able to see the expanded list will give you a much better insight into who is interested in you. Profile Stats Pro will also show you how many times your name has appeared in search results over the course of time in an easy to read graph as well as the top keywords that people are using to search for your profile. You will also get statistics on the types of people you are attracting on LinkedIn, such as the industry they are in and where they are from. This is another useful feature, but mostly if you actually get a decent number of people looking at your profile. In the end, I believe that LinkedIn Premium is worth upgrading for if you are willing to put in the effort to make full use of these features. They are very useful features indeed, but unless you are putting the time and the effort into exploiting them, they won’t make much of a difference. Before you upgrade to LinkedIn Premium, ask yourself – have you made full use of LinkedIn’s free features? LinkedIn Premium is especially useful for bigger businesses, recruiters and anyone who wants to make more connections, faster. Job seekers can also benefit from the InMail feature and the extended search results feature, but I don’t necessarily believe it’s worth the upgrade just for that.